Dermal Technology Laboratory specialises in in vitro dermal absorption studies that are needed as part of the safety testing of new and existing chemicals, agrochemicals, personal care, and pharmaceutical products. Data are used to predict human exposure following contact with the skin. This can occur intentionally, with pharmaceutical and personal care products, or unintentionally, with industrial chemicals and pesticides during their manufacture and use. The work conducted by DTL is exclusively in vitro. In addition to safety assessment studies, the company is involved with the research and development of new products aimed at improving the delivery of drugs into and through the skin using novel formulation technology. DTL has a number of ongoing research collaborations and PhD studentships with the Schools of Pharmacy at Keele University and the University of Nottingham. We are a highly specialised team of over 20 science graduates with many years experience in the development and practical use of in vitro methods to measure dermal absorption. 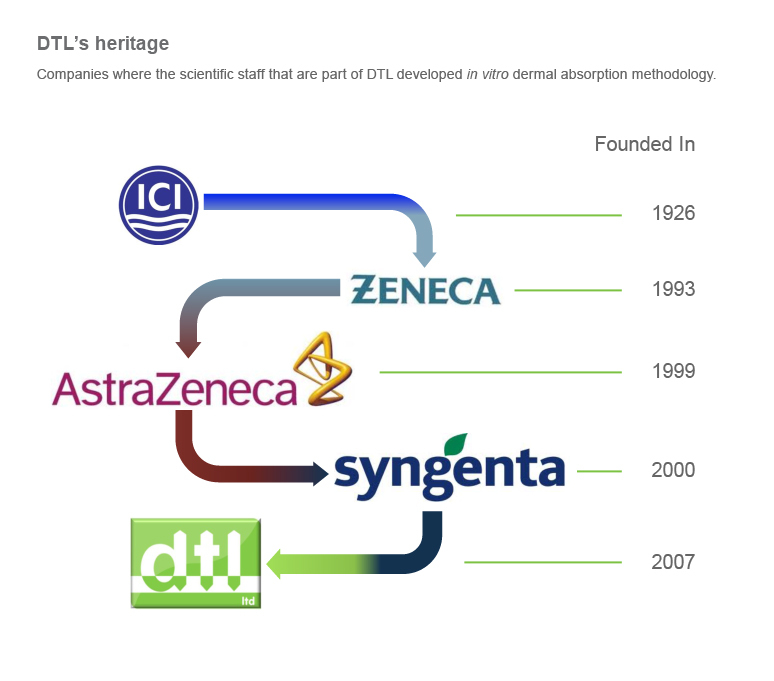 DTL’s Managing Director, Dave Fox, was the Head of the in vitro percutaneous absorption group at Syngenta Central Toxicology Laboratory (CTL). Dave has over 20 years experience in toxicology and management at CTL’s laboratories at Alderley Park. In 2003, Dave obtained a MBA from Manchester Business School. Professor Jon Heylings, Chairman of DTL, has more that 30 years experience as a Senior Toxicologist and Section Head at Syngenta CTL and holds the honorary position of Professor of Toxicology in the School of Pharmacy at Keele University. Jon has worked with OECD, WHO and several UK and European Industry and Government bodies to develop and advocate alternative in vitro (non-animal) methods and test guidelines to evaluate the dermal absorption of chemicals. To see DTL’s heritage click here. The new facilities at Keele University Science and Business Park and the image they portray fits well with the company’s goal to be the leading laboratory in dermal absorption. 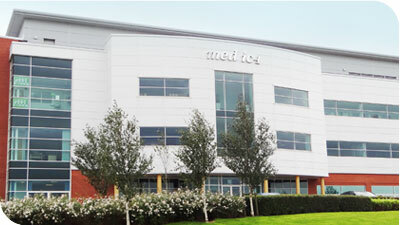 DTL moved into the Science and Business Park on the Keele campus in April 2007 and gained full membership of the UK GLP Monitoring Authority Programme in July 2007.